“Extra” is giving “Glass,” “Split,” and “Unbreakable” on Blu-ray to 5 lucky friends. “Glass” is the final installment in M. Night Shyamalan’s mind-bending “Unbreakable” series, which was launched nearly 20 years ago. In the film, security guard David Dunn (Bruce Willis) uses his supernatural abilities to track Kevin Wendell Crumb (James McAvoy), a disturbed man who has 24 personalities. Fans also see the return of Elijah Price (Samuel L. Jackson), Dunn’s former mentor and archenemy. 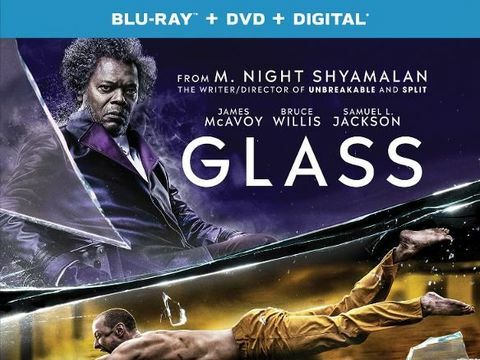 “Glass” is available on 4K Ultra HD Blu-rayTM, Blu-rayTM, and Digital on April 16. Star InkEmilia Clarke, Drake, Pete Davidson and others show off their tats!